When asked about their health, people usually take the question to mean medical problems like diabetes, heart disease, cholesterol etc. How many of you take the health of your mouth as seriously? It is a surprising fact that most people will have health screenings that include the neurologist, gynecologist, gastroenterologist, and have mammograms and blood tests done regularly to make sure that they are in good health, but totally neglect their dental care. Very often, the state of your dental health could be a precursor to some illness in the body. This is why regular dental visits are important. Why do people not visit the dentist regularly? Many people fear a dental visit. This could be due to traumatic experiences when they were younger when they had teeth pulled out or braces put in. Now dental care and technology has advanced so much that your dental work is mostly painless. People hate to have their teeth cleaned because of the sensitivity. People associate the sensitivity with pain, though it isn’t. The reason that you may have pain while cleaning your teeth is if you have avoided the dentist for too long, and your teeth have collected so much plaque that it is necessary to clean close to the gums to remove the plaque. If you make a regular visit to the dentist to get your teeth cleaned, it would be practically painless. What are the fallouts of not having your teeth cleaned regularly? On one side, you have yellowed dirty teeth which will certainly affect your looks, and the impression you make on people. You could have mouth odor and this will again cause a bad impression. You could get infections in your gums because of the plaque build-up and when you go see the dentist later, you will have to be treated with antibiotics as well as a much more painful procedure to treat the infection. What are the advantages of going to a dentist? Checking your mouth for infections and tooth decay is only one of the many procedures that a dentist does. These days, dentists check the state of your gums and will perform an examination of the neck and the head to check for any anomalies. This is one of the ways to check if you have any problems like oral cancer, vitamin deficiencies or diabetes. The dentist will also show you how to properly maintain your teeth. Most people, even adults still do not brush their teeth properly. Your dentist will show you how to brush and floss your teeth well. If you don’t follow the dentist’s orders, you can be sure that when he examines your teeth next, your dentist will know if you’ve been brushing and flossing regularly. 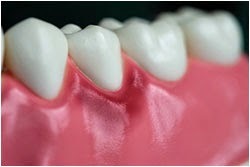 What are the common diseases related to the teeth? Plaque is a buildup of debris, leftover from food and other substances. If not cleaned it forms a layer over the teeth. If you don’t visit the dentist regularly, your plaque will cause tartar buildup. This is a harder form of plaque and may extend into the gum area too. This is an infection of the gums, due to the buildup of tartar and plaque and not having your teeth cleaned regularly. It is a painful infection that can cause bleeding from the gums and sores on the gums, inner cheek and tongue and palate. Don’t let your teeth get unhealthy. Make a promise this New Year that you and your family will start going for regular dental visits and practice good oral hygiene, making you and your family healthier!